If you like the Corolla, you are sure to like the S Plus edition. It offers just a bit more that can make everyone feel at home, especially the driver. Why Choose the S Plus? The Corolla S Plus is a sportier Corolla. You even get a Sport mode to spice up the car’s capability. Race-car inspired paddle shifters let you grab some manual-shifting fun. The S Plus also comes with the Smart Key System. You can enter or start the vehicle with just a touch. Temperature is regulated by a programmable thermostat. Heated side mirrors keep frost from ruining visibility. The Corolla S Plus has duplicate audio controls on its leather-clad steering wheel. As for dash tech, this car comes with the Entune touch screen and a rearview camera. It has complimentary SiriusXM, too. Shoppers can upgrade to Entune navigation and apps with HD radio. 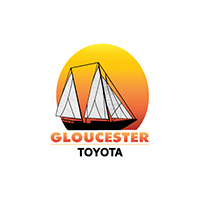 Learn about pricing at Gloucester Toyota dealer serving Hampton Roads VA. The 2016 Toyota Corolla offers more reasons than ever to choose it. It has an almost flat back seat. This means the second row passengers can wiggle and stretch without the dreaded floor hump to stop them. The Corolla has eight airbags, and it has earned the top rating from the NHTSA federal safety tests. JD Power, a leading automotive analyst, has rated the Corolla as Best in Initial Quality. Year after year, it continues to outsell the competition. This year’s Corolla is more stylish, more feature-laden, and more tech-savvy than ever. Value your trade. Find the Corolla S Plus at Gloucester Toyota dealer serving Hampton Roads VA.